This entry was posted in Uncategorized and tagged Angela Serratore, Egalitarianism, post office, Post Secrets, The Junia Project, Women. Bookmark the permalink. Superb job of reporting, Tim! 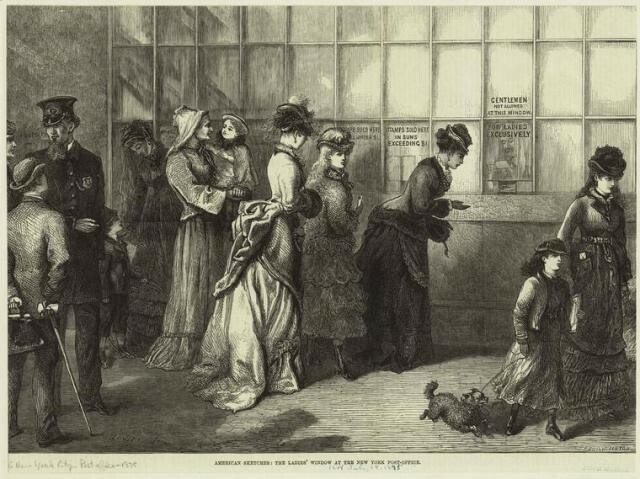 Wonderful how the world opened up for women by such a simple thing as sending and receiving mail. I give all the reporting credit to Angela Serratore, Chaplain! But I agree that something as simple as posting and receiving letters can do wonders for freeing people. It’s like when Hannah More and her crowd started teaching the working class children how to read and write in late 18th Century England: all of a sudden people could do more than eke out an existence. Literacy meant advancement, travel, even changing class level.